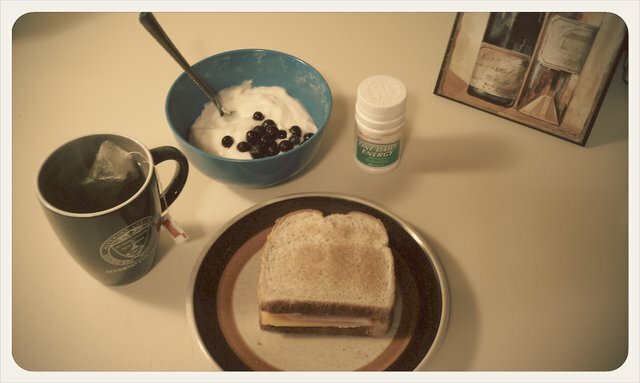 Turkey sandwich on whole grain bread, cheddar cheese, light mayonaise; vanilla yogurt with blueberries; hot green tea; one daily energy multivitamin. 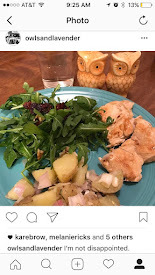 I usually eat something like this after work and before a workout; I'm less likely to gorge myself during dinner, and I have enough stamina for my workout. Try to eat more often (in moderate amounts of course) rather than 3 large meals per day. I eat 5-6 snack meals per day.